Born in Montevideo, Uruguay, began his musical career as a prodigious and somewhat reluctant piano student at the age of four. 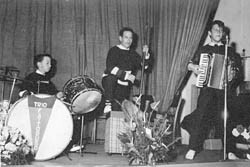 By the time he was nine his father Antonio formed El Trio Fattoruso by drafting Hugo's younger brother George on drums, with Hugo on accordion and Antonio on "inverted bucket bass" (using a broom as the neck, and a cord as the instrument's single string). This trio performed in street festivals, covering the variety of styles used in Uruguay's carnivals (boleros, murgas, tangos, etc.) and giving Hugo an education in the rich harmonic stuff of disparate musical styles. At the age of 16 Hugo moved to the upright bass and began his tenure as the under-aged member of The Hot Blowers, a swing band that toured throughout Latin America in the late 1950s. This period could be seen as a second important milestone in Hugo's harmonic education, hammering home the concepts of improvisation and musical interplay. 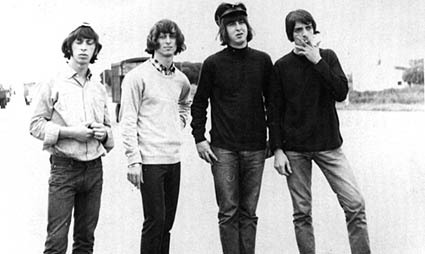 By the early 1960s, rock 'n' roll began to shake the world's foundation, and Hugo set out to express himself in that medium by forming Los Shakers, where he and his brother shared song writing, singing and guitar responsibilities. Los Shakers, Hugo Fattoruso (guitar, voice), Osvaldo Fattoruso (guitar, voice), Roberto "Pelin" Capobianco (bass, voice), Carlos "Caio" Vila (drums, voice), were a huge success throughout Latin America, as they were able to mold the complexities of bossa's harmonies, Uruguay's urban song style, candombe rhythms and the backbeat of rock into a new and contagious form. By the late 1960s the influence of jazz, and of the Afro-Uruguayan rhythm of candombe, took Hugo to New York City, where he formed the group Opa. 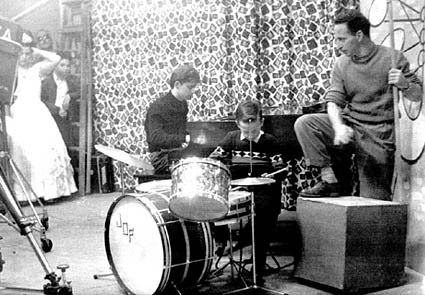 In Opa Hugo played keyboards and sang, while his brother played drums, and childhood friend Ringo Thielmann played bass. Opa's mixture of jazz, rock, Brazilian harmonies and rhythms, and Uruguay's African-flavored music (candombe) gave this band a distinctive voice, and garnered them recognition among musicians in the then growing "Latin jazz" scene. Opa released two albums on their own, 'Goldenwings' and 'Magic Time'. Opa's music served to influence the next generation of Uruguayan musicians, continuing the Fattoruso's impact on Uruguayan musical culture. From that point on Hugo travelled the U.S. and worked with a variety of artists, ranging from Hermeto Pascoal to Ron Carter to The Dixie Dregs. After working in the U.S. with Milton Nascimento, Hugo spent several years living in Rio de Janeiro, where he worked with several prominent Brazilian artists including Djavan, Geraldo Azevedo, Chico Buarque de Holanda, Nana Vasconcelos and Toninho Horta. recently the CD 'Nascimento', winner of the 1997 World Music Grammy Award. In addition to his piano and accordion playing, the compositions on the release 'Nascimento' were co-arranged by Milton and Hugo. 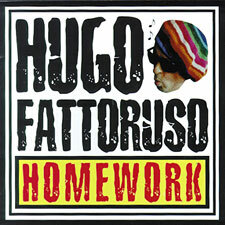 Recently, Hugo took from his life's experiences to create his lovely CD, Homework. The CD booklet includes all lyrics as sung in Spanish, and translated to English. Throughout our days at school, the term homework is associated with the practicing process which prepares us all for the future. To describe this project, the phrase "home is where the heart is" also comes to mind. From Montevideo, Uruguay, Hugo spends much of his time at home, creating, and has done so for most of his life. Here he takes what he has developed at home, and with family and friends offers you this flavorful variety of sounds, melodies, rhythm and love. As knowledge exists for us to acquire, and then to pass on to others, let this musical experience serve both these purposes. Hugo has also recently recorded on projects for Luis Salinas (Argentina), Ruben Blades (Panama), João Bosco (Brasil), Takamasa Segi (Japan), Hiram Bullock (U.S.), Ruben Rada (Uruguay), Jaime Roos (Uruguay) and 'Enemigos Intimos', a colaboration between Joaquin Sabina (Spain) and Fito Paez (Argentina).